The Honor Watch Magic is available in Lava Black and Moonlight Silver variants in India. While the former is priced at Rs 13,999, the latter costs Rs 14,999. Speaking of Honor Band 4 Running Edition, it is priced at Rs 1,599 and can be bought in Lava Red and Green colour options. Both the wearables will be available exclusively on Amazon India’s website in future. However, the company has not declared a particular date of availability. As we mentioned earlier, Honor Watch Magic comes with 5ATM water resistance certification, which basically means that it can survive being submerged in water up to 50 meters. Honor Watch Magic features a 1.2-inch HD AMOLED touchscreen display that comes with a resolution of 390×390 pixels. 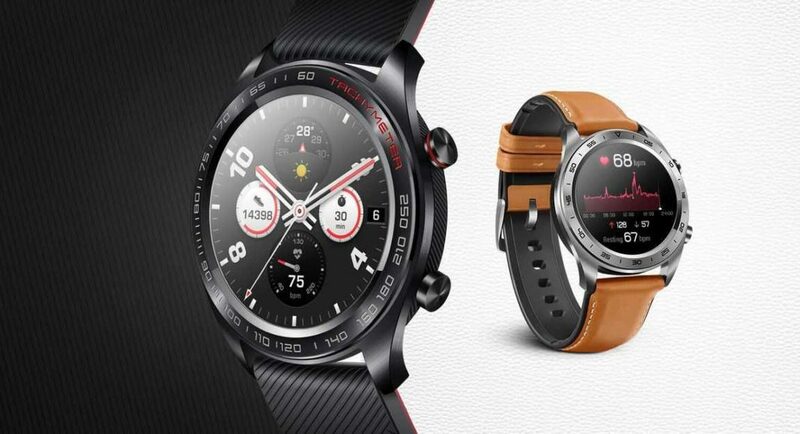 The smartwatch is just 1mm thin and comes with features like 24-hour real-time heart rate monitoring, swim stroke recognition, call reminders, altitude barometer, pressure monitor, scientific sleep mode and a number of sports modes. The device has customisable watch faces and has built-in GPS, GLONASS and NFC support. Honor Watch Magic packs a 178mAh battery that, according to the company, can last up to 7 days. We should mention that instead of WearOS, Honor Watch Magic comes with its own operating system and is compatible with devices running Android 4.4 or above and iOS 9 or above. It can be connected to other devices via Bluetooth 4.2 LE. Coming to Honor Band 4 Running Edition, we should mention that it has fewer features as compared to the regular variant of Honor Band 4 that was launched in India last month. Maybe that’s why the price of the smart band is lesser than the vanilla variant. To begin with, Honor Band 4 Running Edition comes with a PMOLED display and not the coloured display that we saw on the regular model. the smart band does not house a heart rate sensor and comes without support for NFC. It houses a 77mAh battery that is claimed to last up to 12 days. The band comes with a 6-axis sensor that is supposed to come with enhanced running detection by measuring cadence, foot strike pattern, step length, ground contact time, landing impact, eversion excursion and swing angle. Like Honor Watch Magic, Band 4 Running Edition also comes with 5ATM water resistance certification.